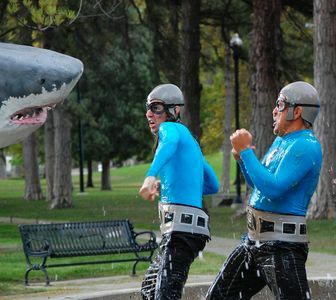 "Shark Fighter!" 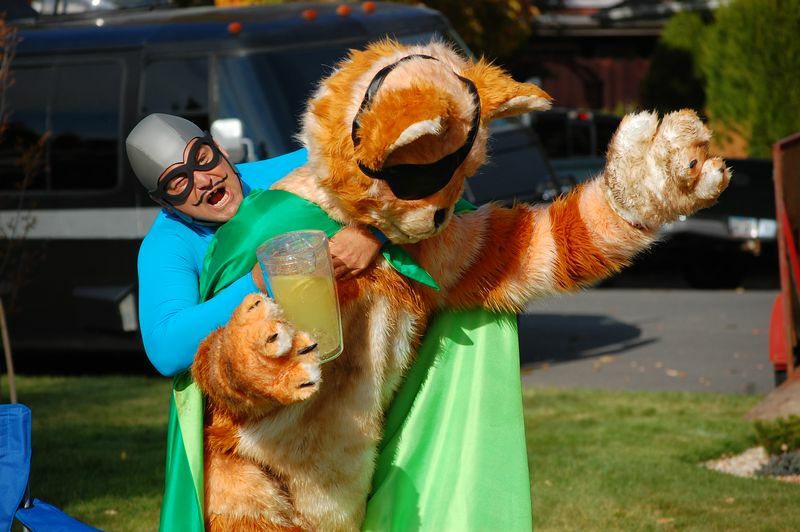 - Dec. 28, 1 p.m. ET/ 10 a.m. PT The Aquabats! come face-to-face with mutant land sharks and when the legendary Shark Fighter (Rhys Darby, “Flight of the Concords”) arises to take on the Bats, he ends up being the big brother Crash has always wanted. 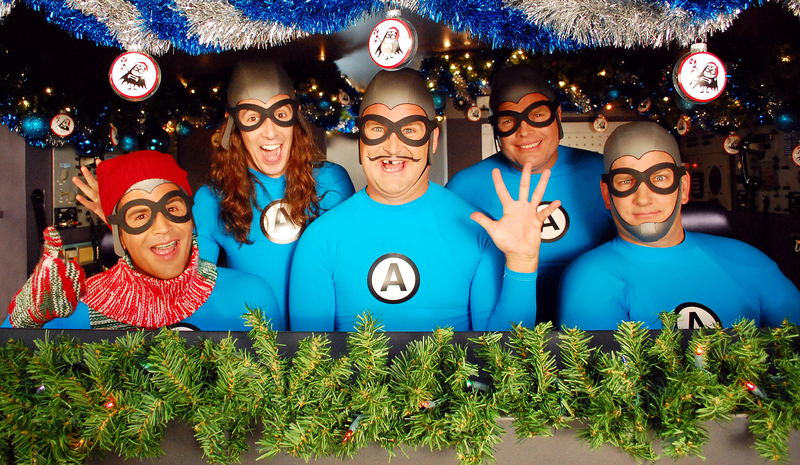 "Christmas with The Aquabats!" 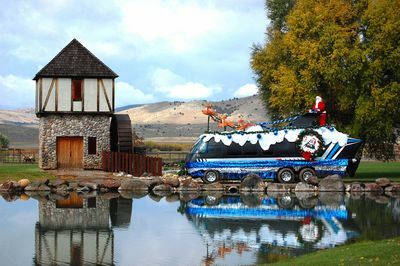 - Dec. 21, 1 p.m. ET/ 10 a.m. PT Ricky's perfect Christmas is threatened when the Aquabats arrive in a strange village and are convicted of breaking a law that forbids any Yuletide celebration. Their only chance at saving themselves and Christmas is for the big man himself, Santa, to lend a mitten! 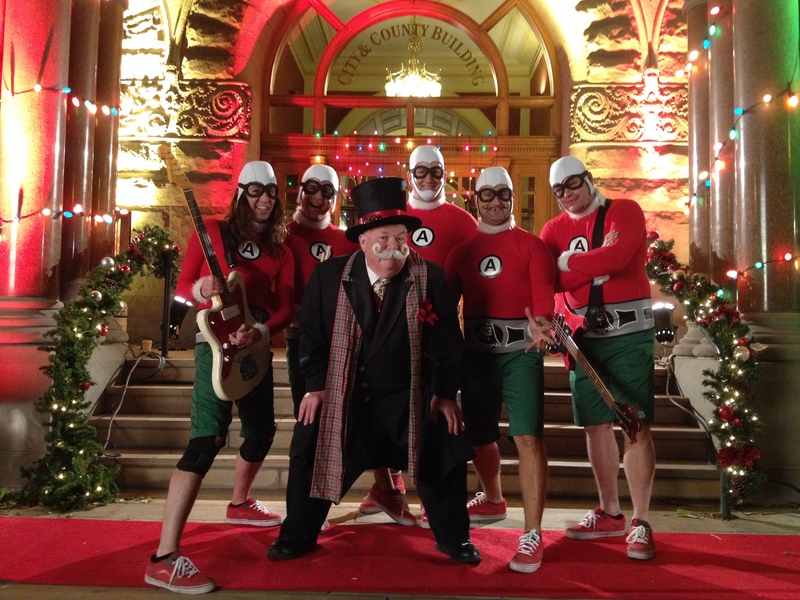 The special includes guest stars Matt Walsh ("Veep") as Santa and Robert Smigel ("TV Funhouse," “Triumph the Insult Comic Dog”) as the voice of The Krampus.